I don't know about you, but I have ridiculously chapped lips year round. It's turrible. I know how important it is to drink water, but sometimes I just don't. Do I deserve to suffer because of it? No! So that's where exfoliating comes in. And I don't know about you, but I can find far better things to spend my money on than store bought exfoliant. 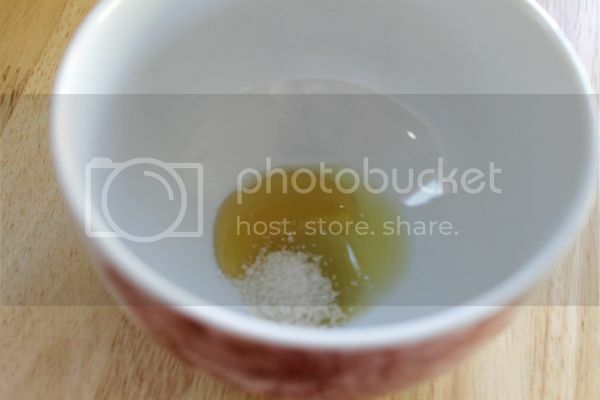 Especially since you can make wide variety of scrubs at home with any number of ingredients. This scrub is why I've been using lately, and I really enjoy it. I like this balance because it's super quick to whip up and I always have the items in stock. 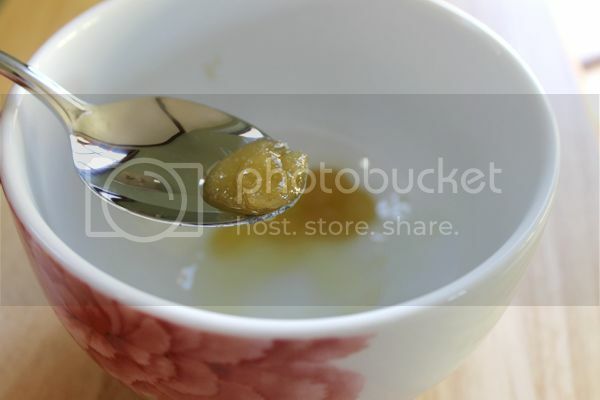 Honey and olive oil are both conditioning and give a lot of needed moisture. The honey has an added bonus for me of acting like a kind of glue to keep the scrub together on my finger. Also it's delicious. A lot of scrubs will also use brown sugar. I prefer coarse grained sugar because my lips need a little more scrubbing power. 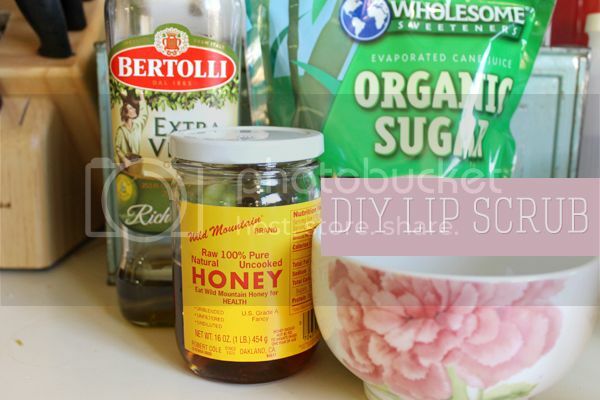 Brown sugar would be great for lips that are in good condition, and just need a little weekly finessing. I start by getting my lips wet with warm water, just to soften the skin up a little. Then scrub to your hearts content! Because I use coarse grained sugar, I'm a little gentler with it. You don't wanna rough yourself up too much. When I'm done, I run a washcloth under warm water and swipe it across my lips to clear everything off. I hear various answers to the question "how long can you keep a homemade lip scrub?" and they run the gamut from "FOREVER" to "no longer than two weeks". Personally, I make a small batch every time, so I don't have much worth saving. And since it's so easy to make, I don't mind whipping up a new batch every time. If you decide to store it, just use your own judgement and toss it if you get suspicious. 1. Eucerin Aquaphor Lip Repair Ointment - My current all-around favorite. I keep this in my purse for the day, but I also apply it before bed because it doesn't rub off right away. I like it under lipsticks for a smooth application, too. Just all around good. 2. Fresh Sugar Lip Treatment - I love this whole line. It's definitely pricey ($22.50) for a tinted lip balm, but I will gladly pay it. It smells like amazing lemony deliciousness and comes in 8 different shades. Good color payoff, and it makes my lips feel so freaking nice, ugh. Word of advice: this melts like craaazy, so never leave it in a hot car or purse (like I have). 3. Smith's Rosebud Salve - I mean, look at how pretty the tin is! Some people don't like the smell of this, but I don't mind it. It just smells like roses to me. It comes in a tube, too, but since I have the tin I keep it at home. I can just imagine it melting on a hot day in my purse and making a mess. If you have lip care tips, products that you love, whatever, let me know! I need all the help I can get and about 8-10 more glasses of water per day.